Nestled in the breathtaking Breëde River Valley, the route boasts twelve wine cellars and one olive estate. It offers an unforgettable experience for anyone from novice to the connoisseur. Situated a 110km from Cape Town (depending on which wine cellars you include on your route) all the cellars are open to the public for wine tasting and sales. Some of the cellars also have bistros and restaurants on their vineyards. 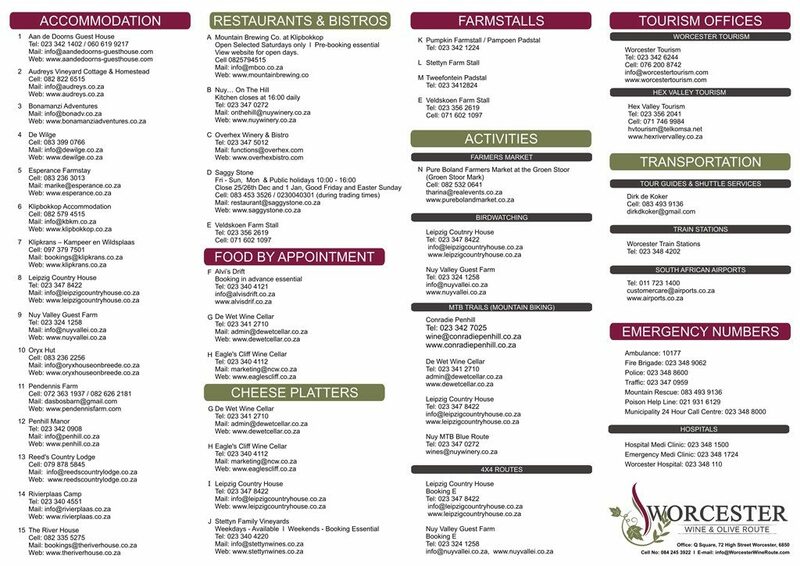 The olive estate has a gift shop and bistro offering delicious meals, olive and olive oil tastings. This area having produced wines for generations and being acclaimed for its Cabernet Sauvignon and Chenin Blanc, as well as the Columbar. It prides itself on both national and international awards of distinction, contributing to about one-fifth of the national vineyards and more than a quarter of the country’s total wine and spirits production. 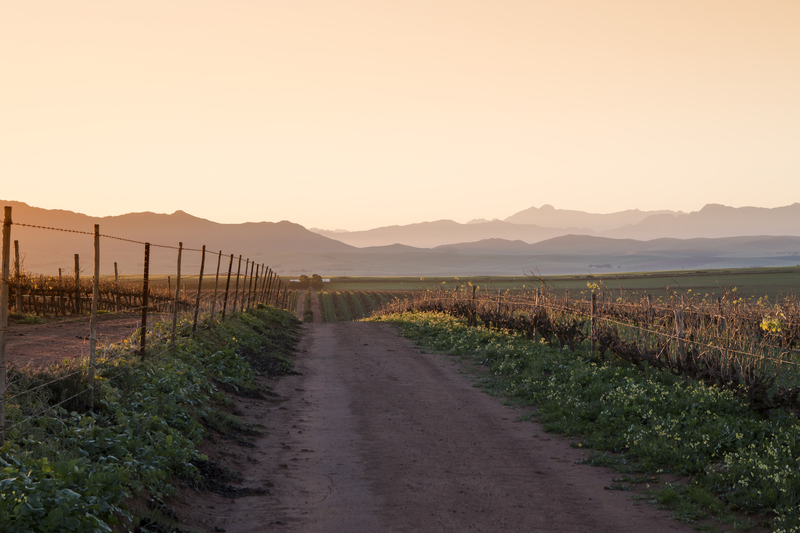 The Worcester area, which includes the Nuy Valley, the De Doorns area and the R43 area, is known for value-for-money wines and olive products. 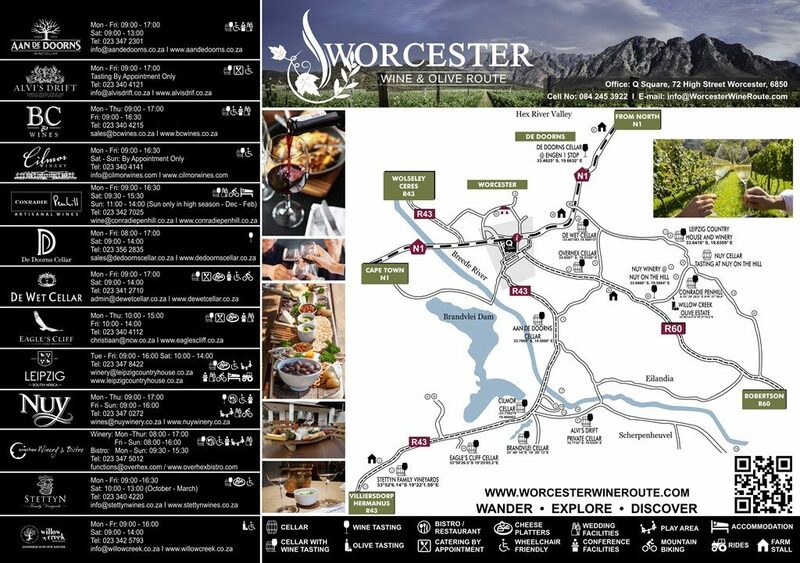 Make a day trip of the route and stop in-between wine and olive tasting to enjoy the bistros and restaurants on the route, or experience the Worcester Wine & Olive Route on a weekend away and stay over at one of the beautiful guest houses situated on the route. Click on the map below to open it in a PDF to download. Living in the #ValleyOfChampions, we are remarkably privileged to have a number of award winning wine farms on our doorstep. CLICK TO SIGN UP FOR OUR WINE CLUB and join us for a monthly experience.